Ciaran's clear light Irish tenor voice warms the hearts of audiences around the globe through song and story. Ciaran performs in concert in various theatres, concert halls throughout the world and is frequently invited to sing with some of the worlds best known Pops orchestras. As a strong supporter of charity organizations, Ciaran also regularly performs for charity gala concerts and events. Ciaran is the founding member and producer of The Three Irish Tenors. Created for a one off performance in Ireland, the group has gone on to become a household name throughout the world. 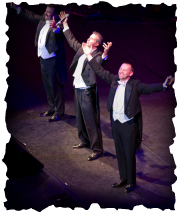 The Three Irish Tenors tour throughout the world and their Christmas from Dublin tour has become somewhat a part of Christmas tradition in the US. A new and exciting project created and performed by Ciaran and his life parter, violinist and vocalist, Tara Novak. This is an intimate concert that brings the charm and traditions of an Irish Christmas to a global audience. 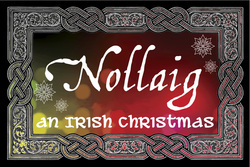 Nollaig features the Irish band, Ishna, world champion Irish dancers and a stunning visual show of Ireland during the festive season. 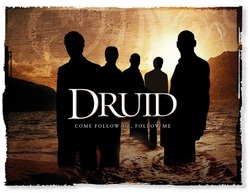 Ciaran produces and performs this themed concert which brings audiences on a magical musical and narrative history of Ireland from ancient Ireland to present day. This features five of Ireland best male singers, symphonic orchestrations and a diverse and enchanting program of music from Ireland's earliest songs to her most recent.